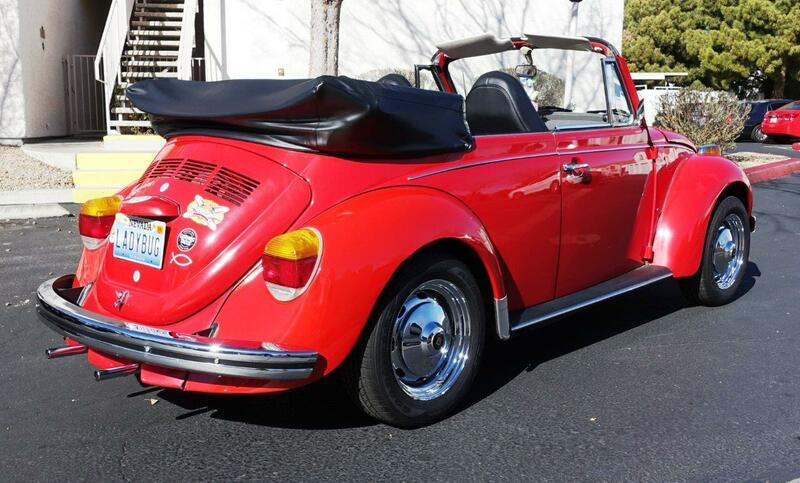 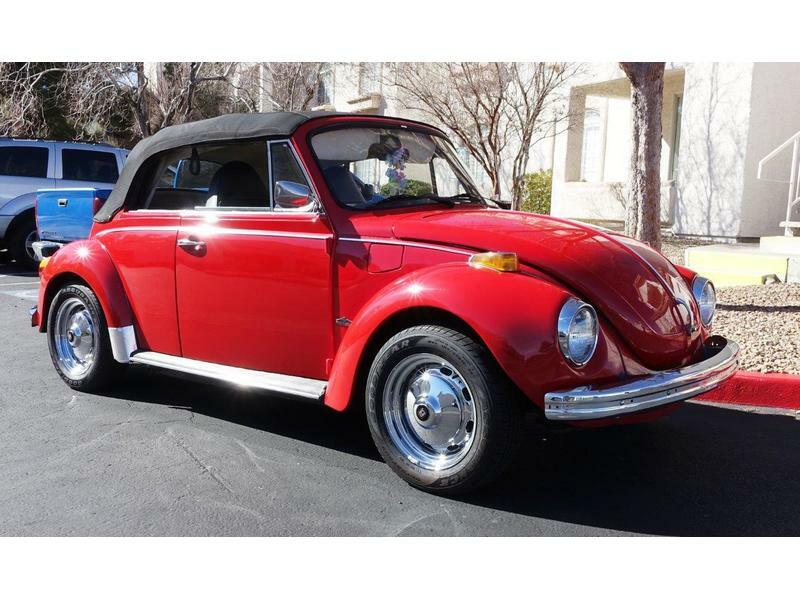 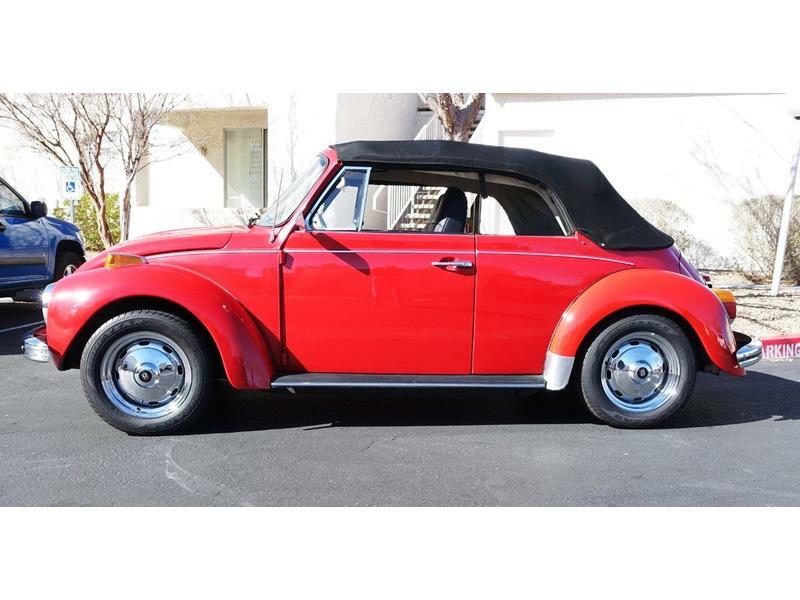 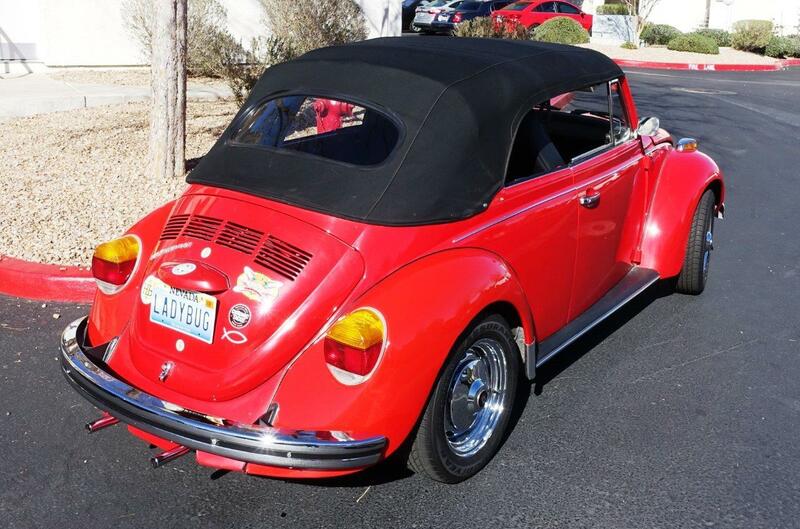 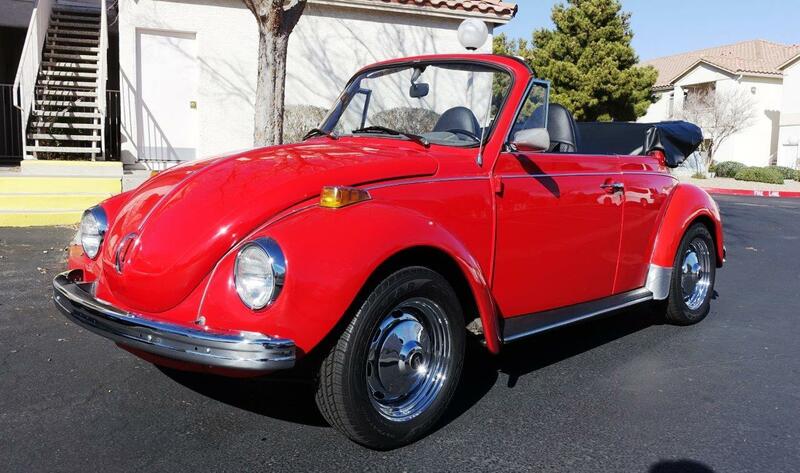 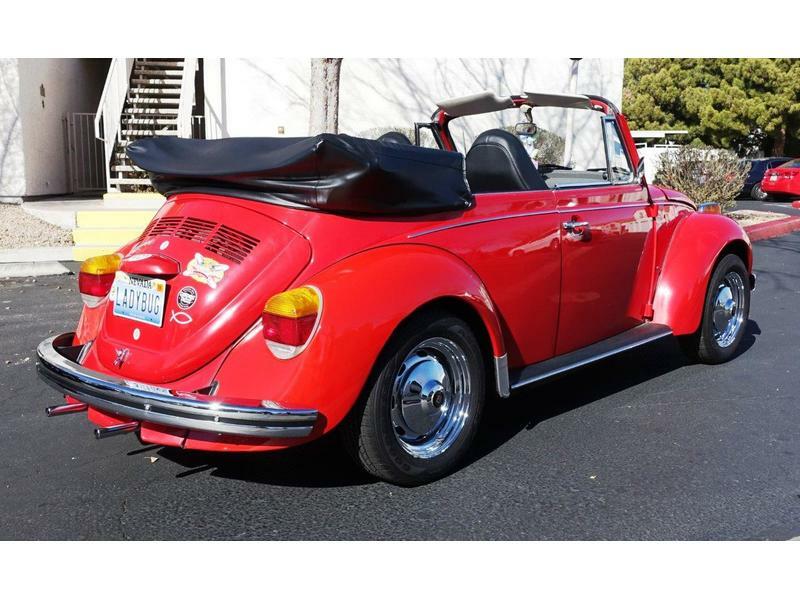 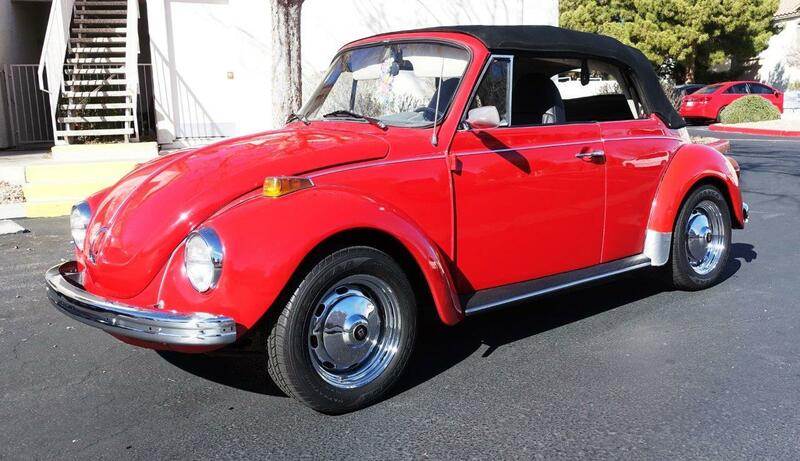 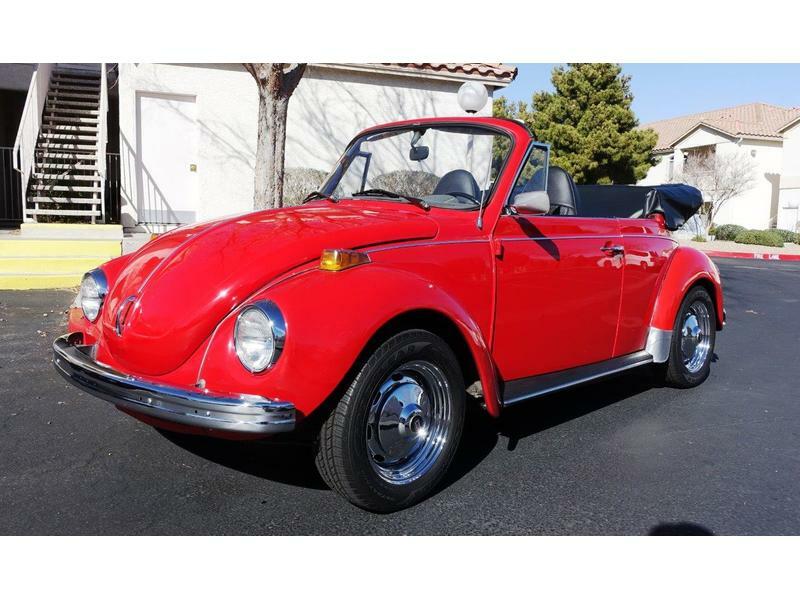 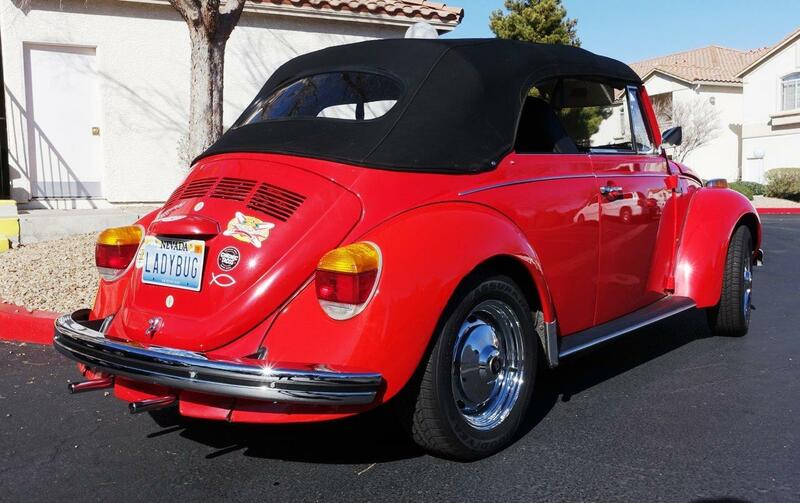 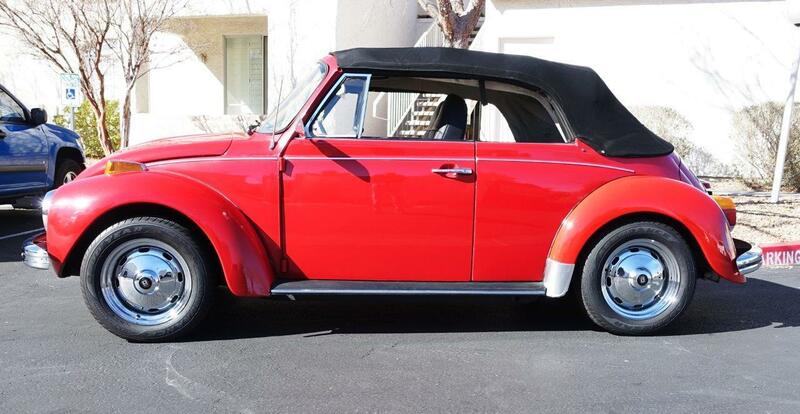 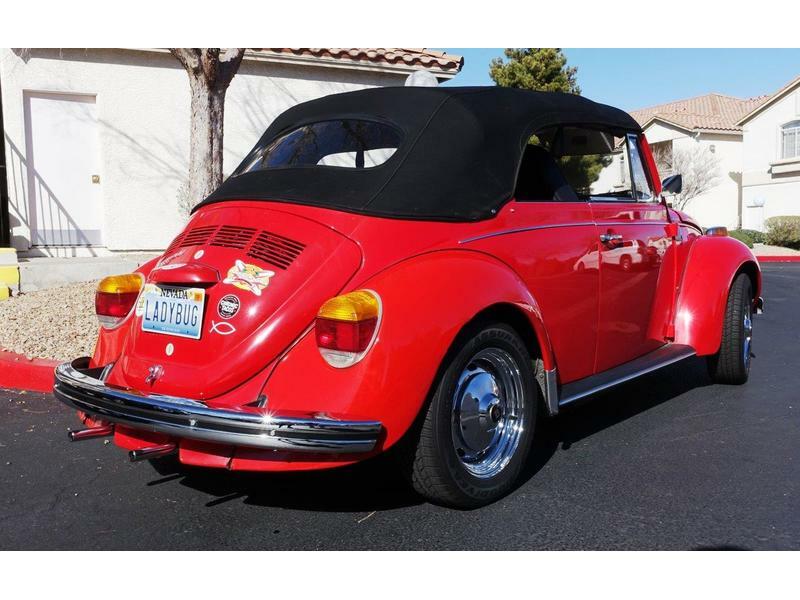 The 1973 VW Super Beetle convertible is a terrific first car for the new collector, and they continue to show appreciation. 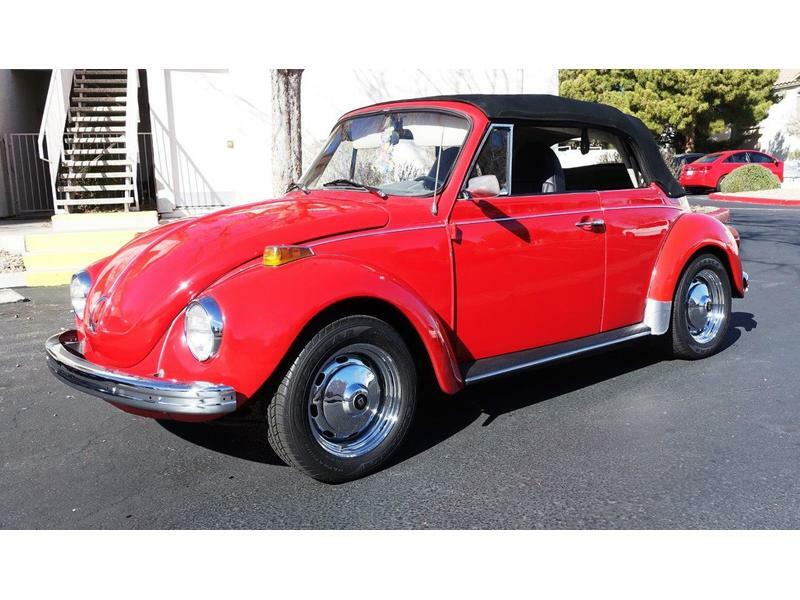 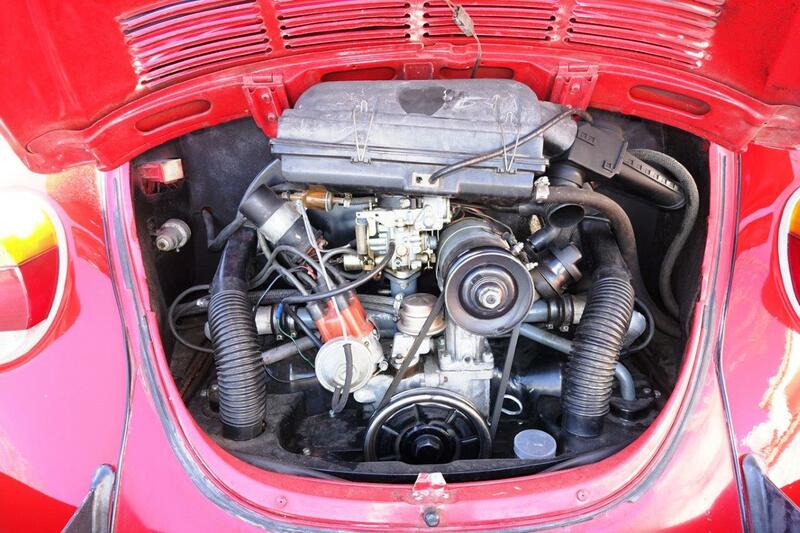 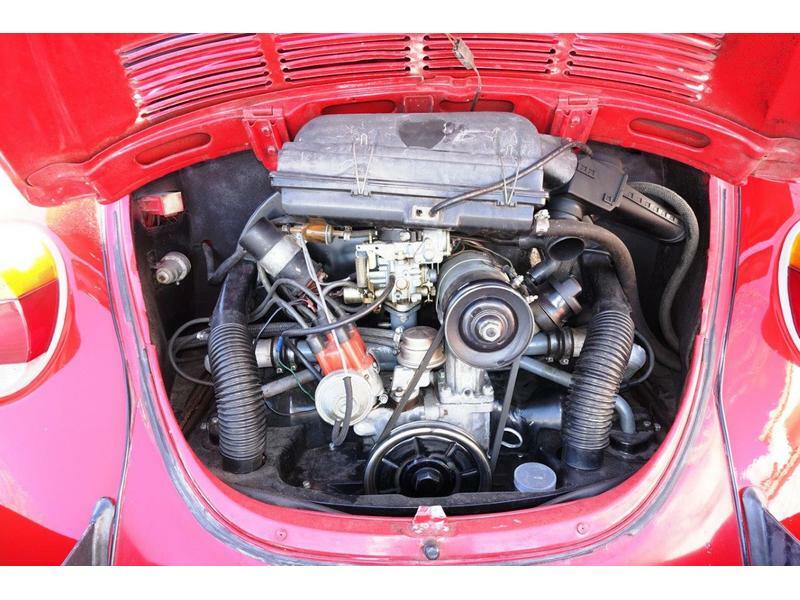 Built at the Karman factory in Osnabruck, West Germany in November of 1972, this 1973 Super Beetle has the original 4 cylinder, horizontally opposed, 1,584 CC (1.6 L) engine and 4 speed manual transmission. 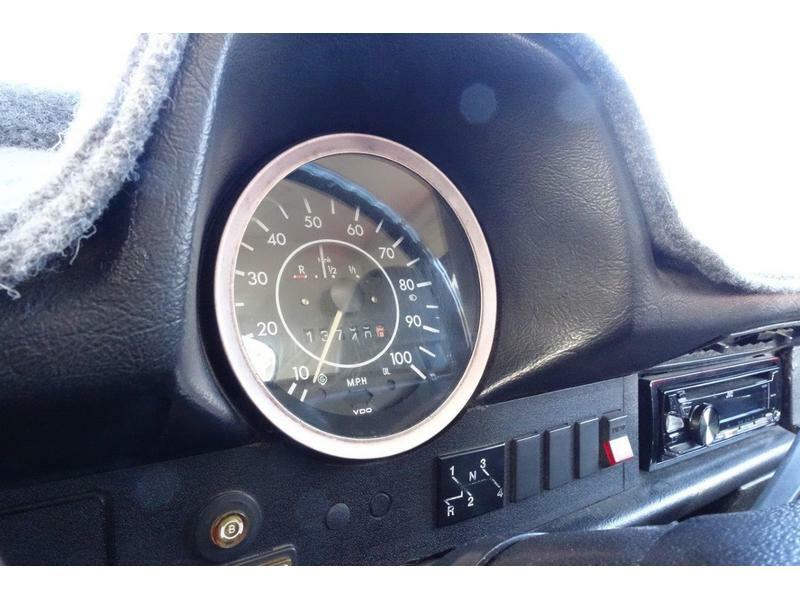 The engine was rebuilt and has 13,740 miles on it, which is the mileage on the odometer. 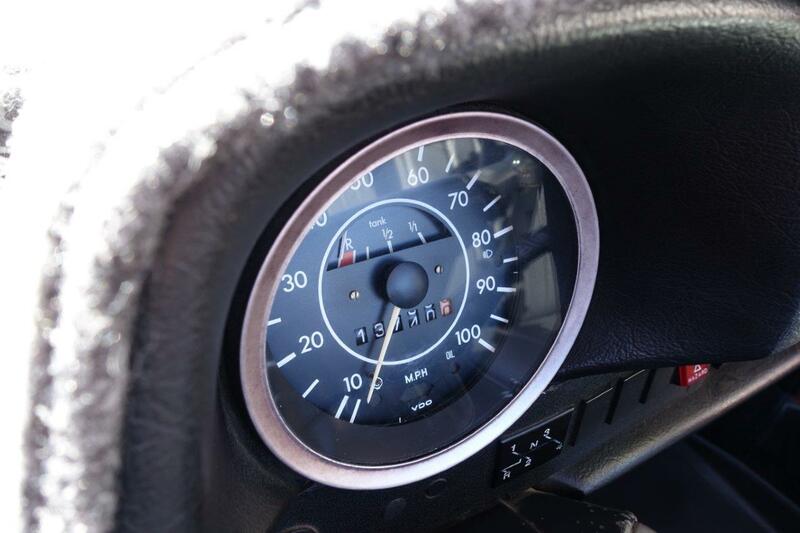 The power train runs well. 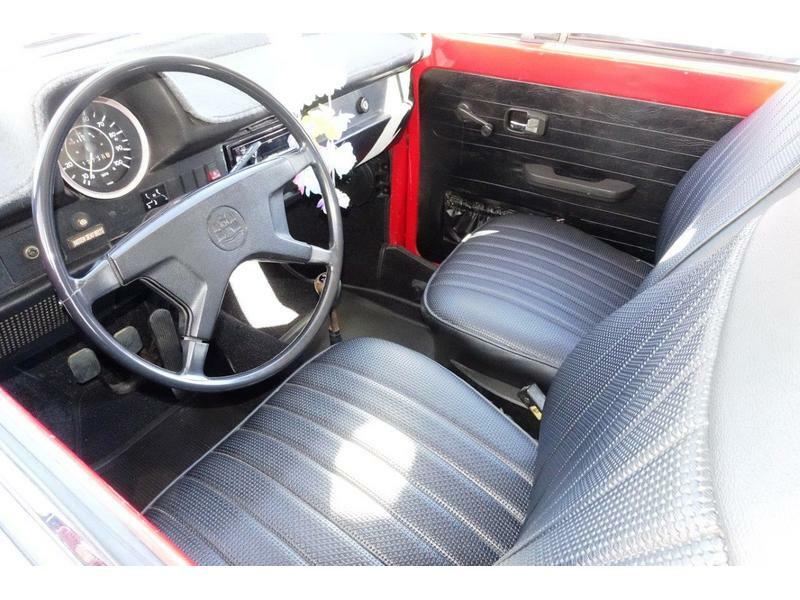 The clutch engages properly, and the transmission shifts smoothly. 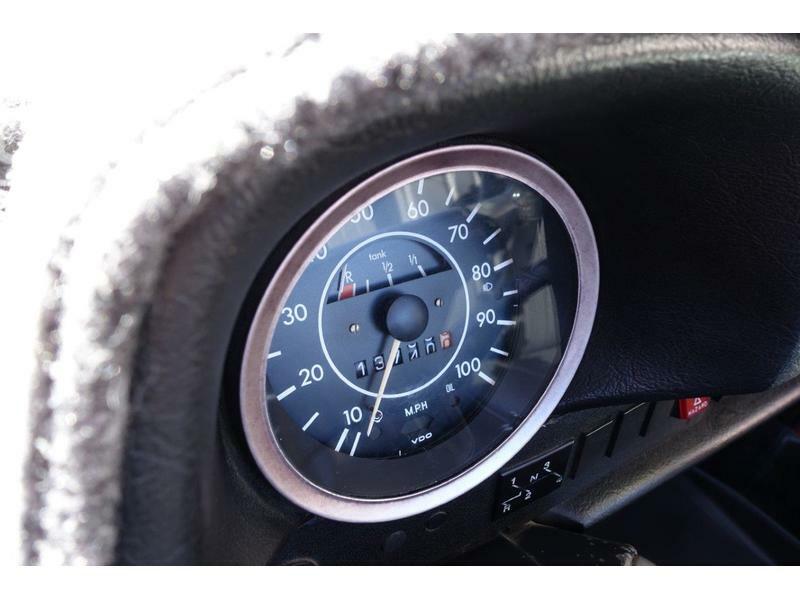 The running gear including half shafts, brakes, wheels, tires, suspension, etc are in great shape and were repaired or replaced when the engine was rebuilt. 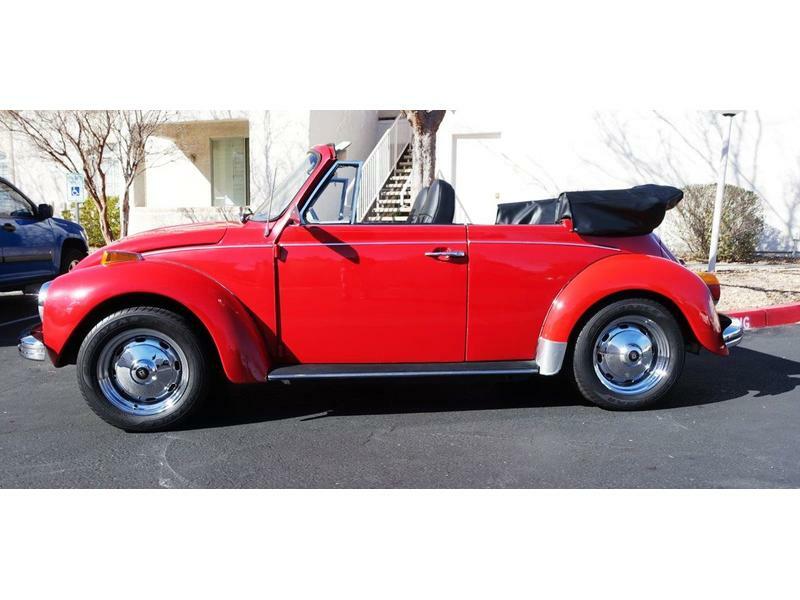 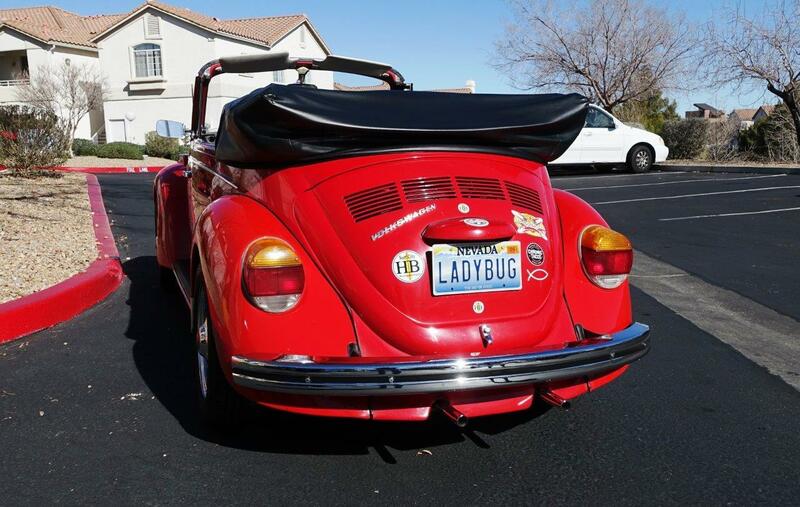 This VW Bug comes with Goodyear 185 x 65 x R15 radials mounted on correct chrome wheels. 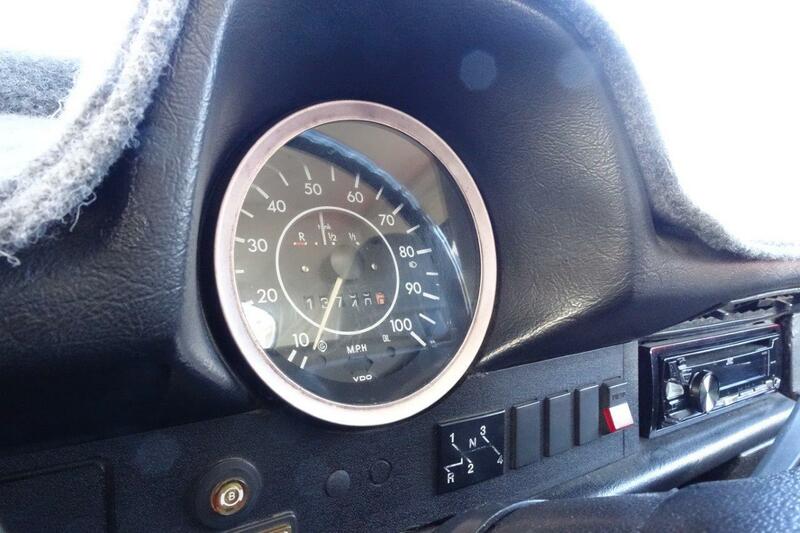 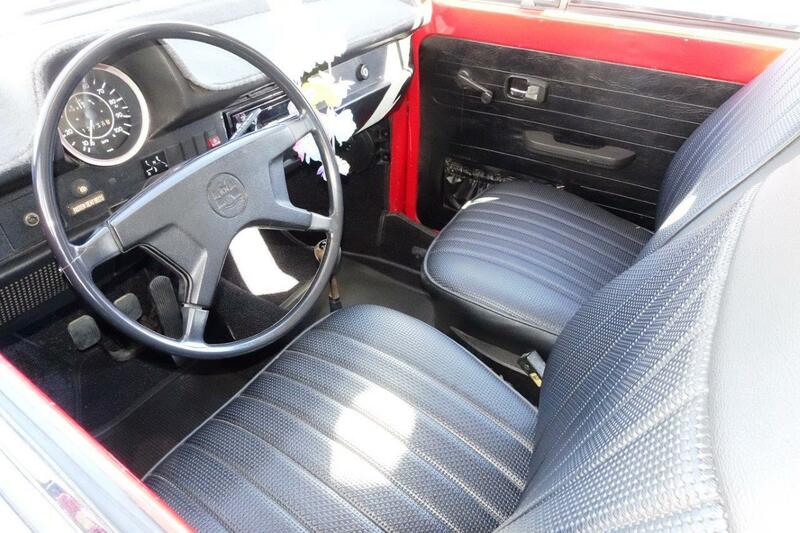 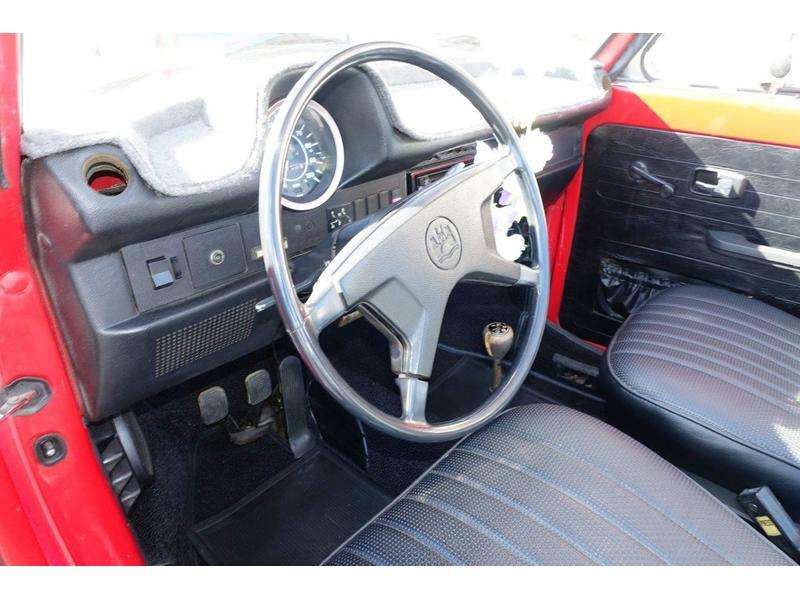 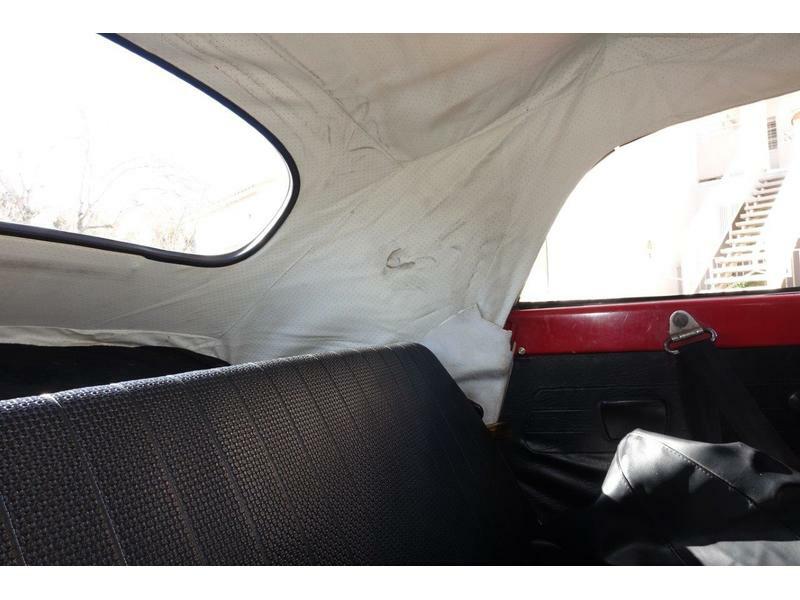 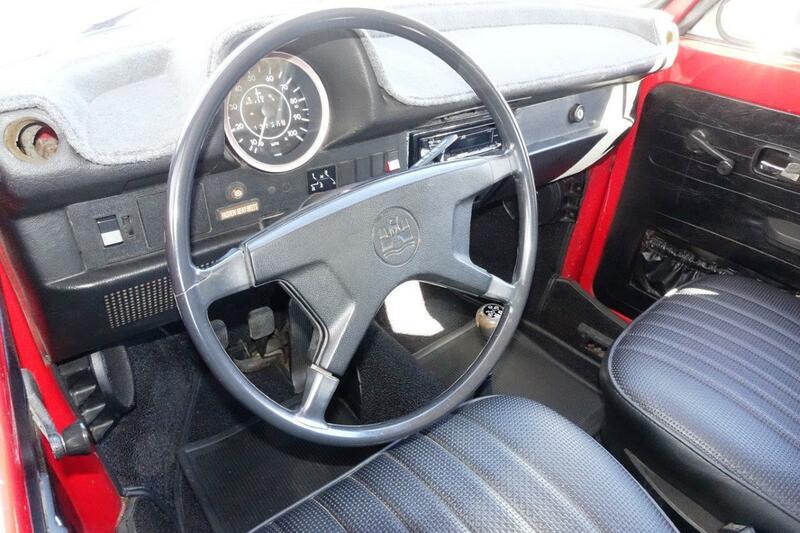 The interior upholstery is excellent with no obvious signs of wear and the dash is original with reliable VDO gauges. 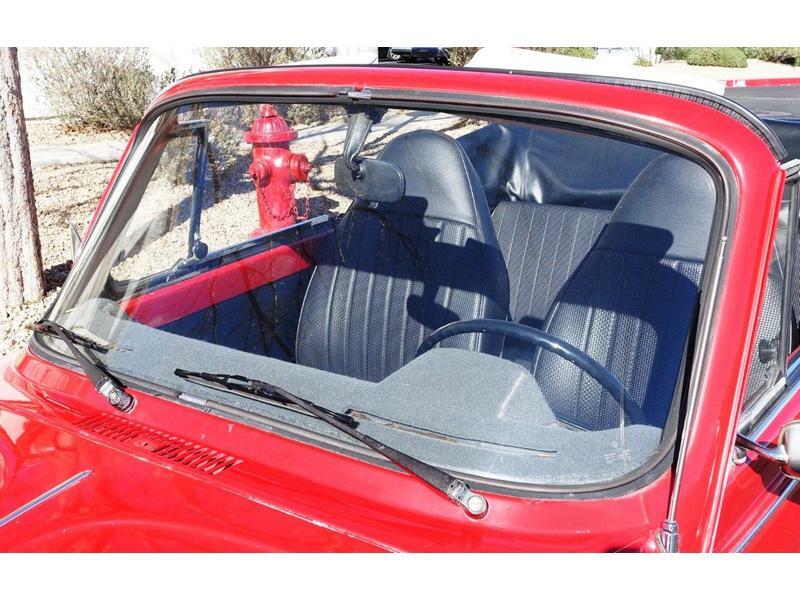 All lights, horn, radio, heater and defroster work as they were originally designed. 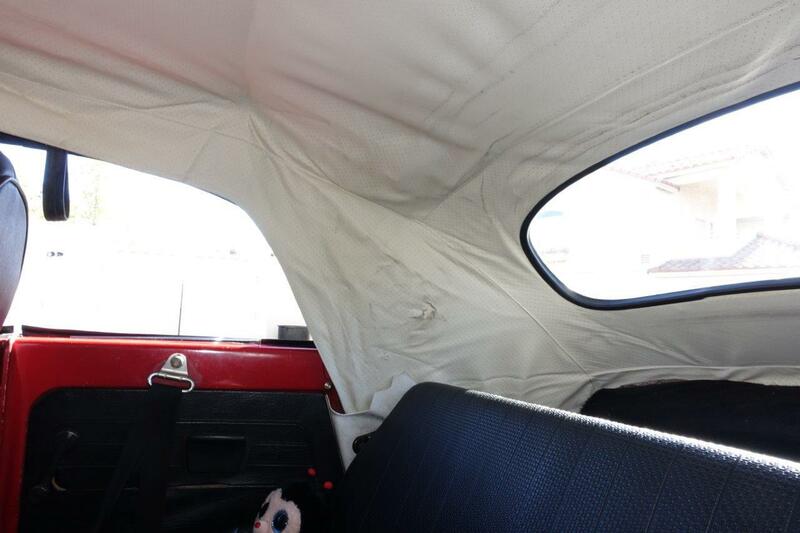 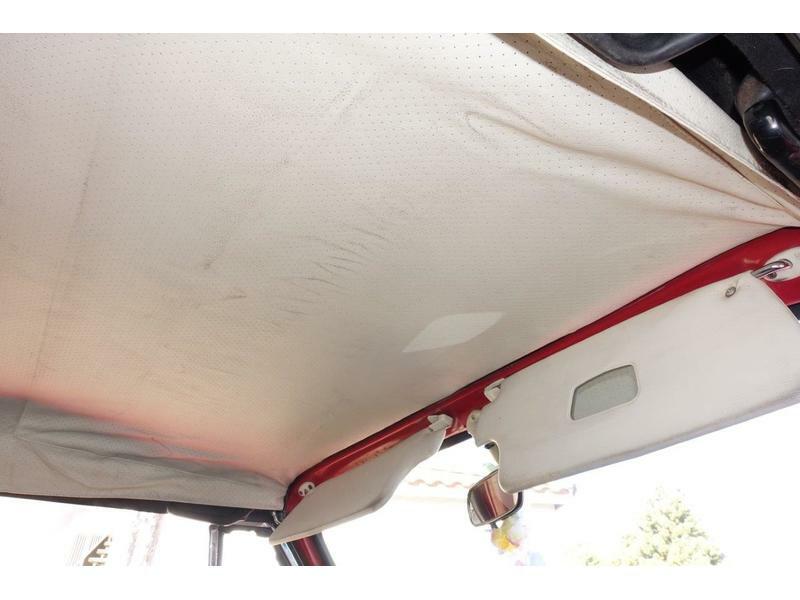 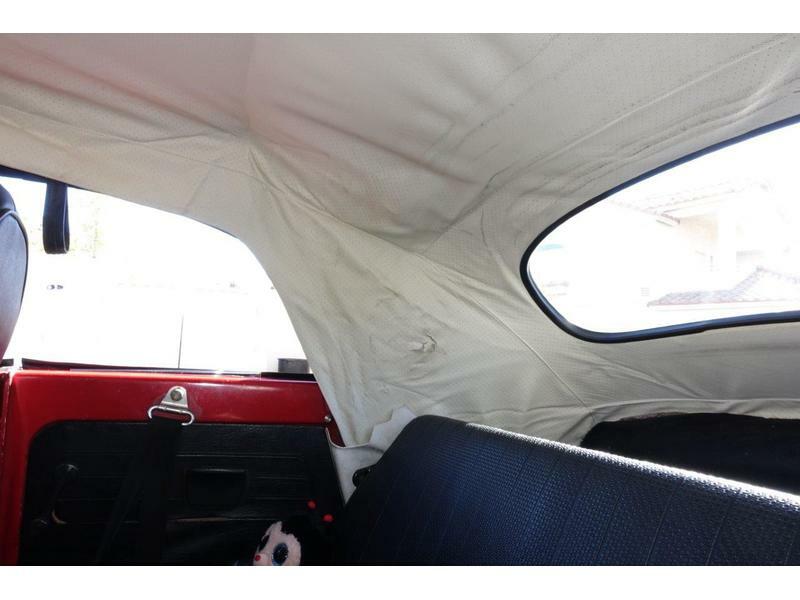 The interior top headliner is fair, with wear showing in the rear where the top hinges come into contact with the headliner (see pictures). 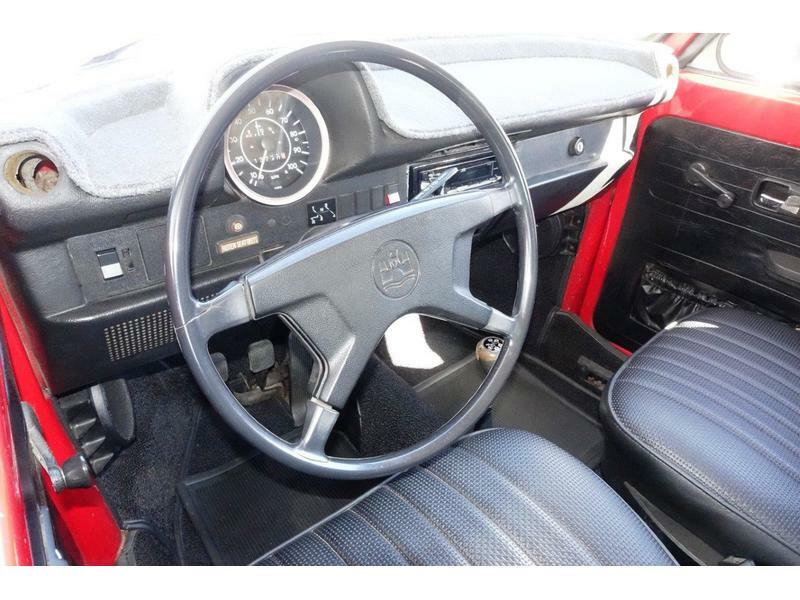 The original, four-spoke steering wheel is still in the car, and the door panels are in good shape, featuring door map pockets for extra storage. 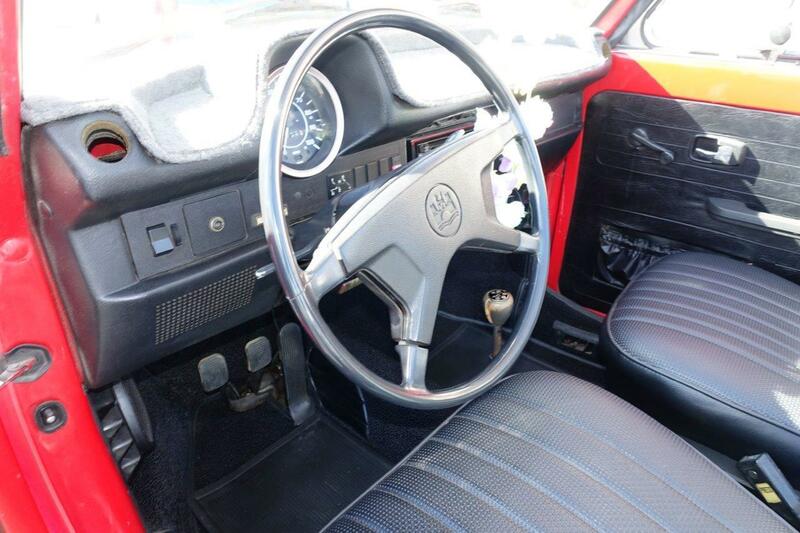 The rear view mirror, glass, and shifter all look good. 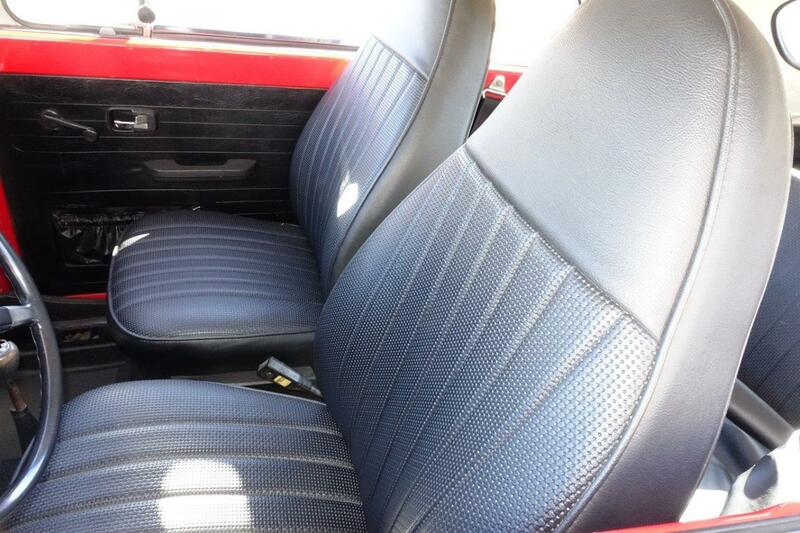 Completing the interior is a JVC AM/FM stereo. 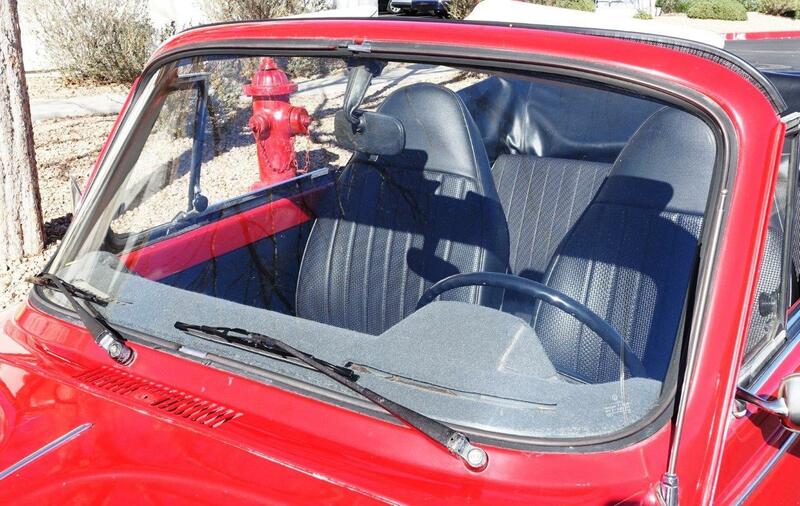 The manual convertible operates perfectly and the top exterior is very good and water tight. 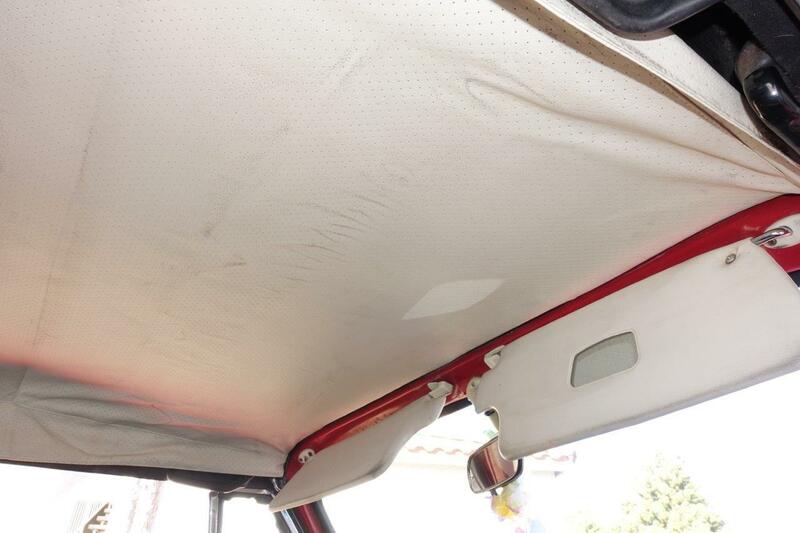 The convertible top boot is also very good condition. 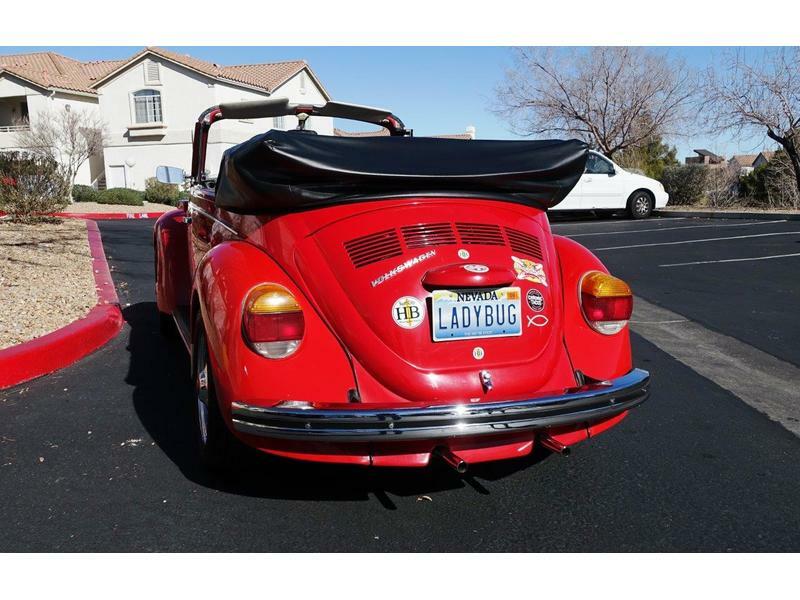 The Super Beetle’s exterior paint patina is nice, but showing some minor road rash on the bonnet, the typical paint chips found from use as a frequent weekend driver, but all have been touched up. 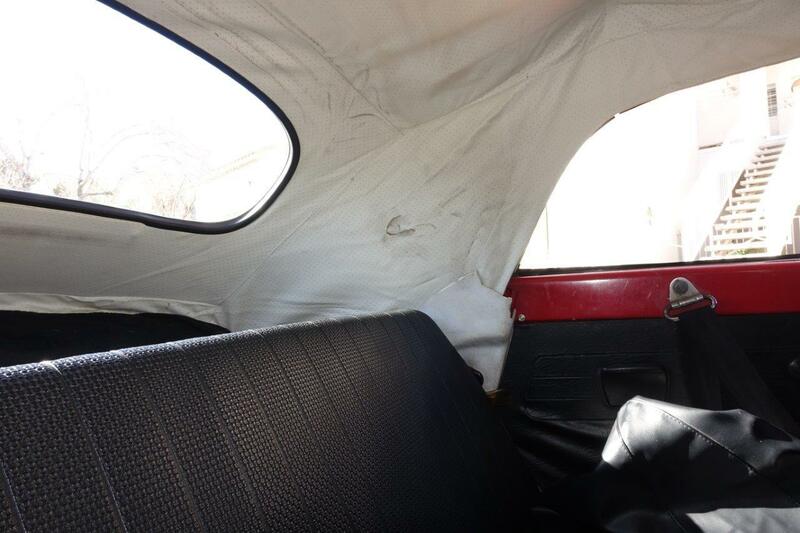 The body panels are straight with no signs of previous damage. 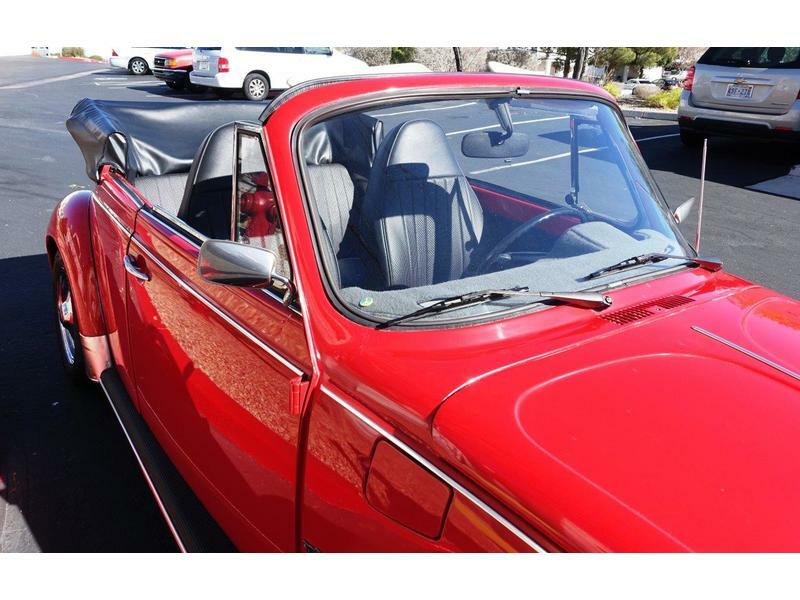 There are no dents, but there is a minor tire rub scrape on the driver side front fender (see pictures). 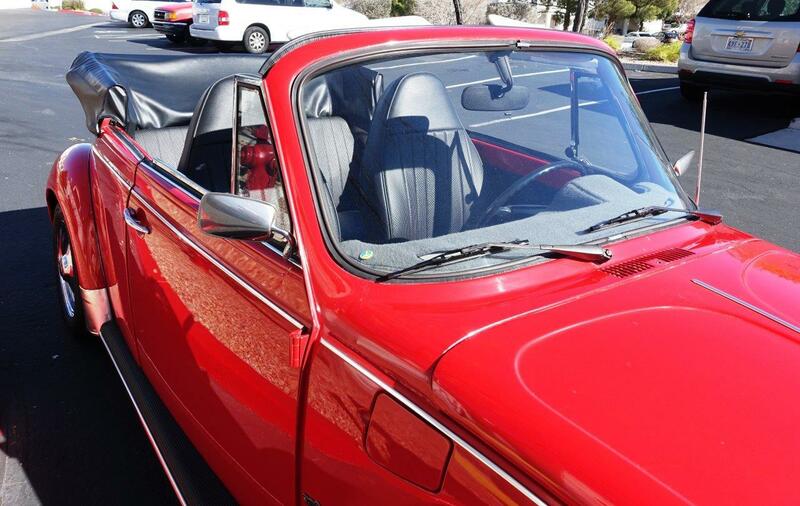 No body work is necessary and the black marks could be buffed out. 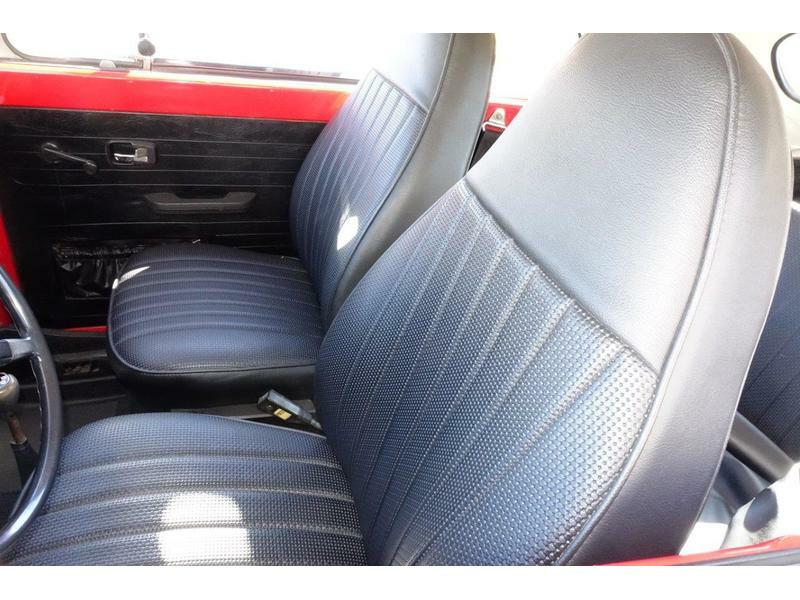 The bright trim is good with only minor pitting and the center rubber molding on the rear bumper is missing. 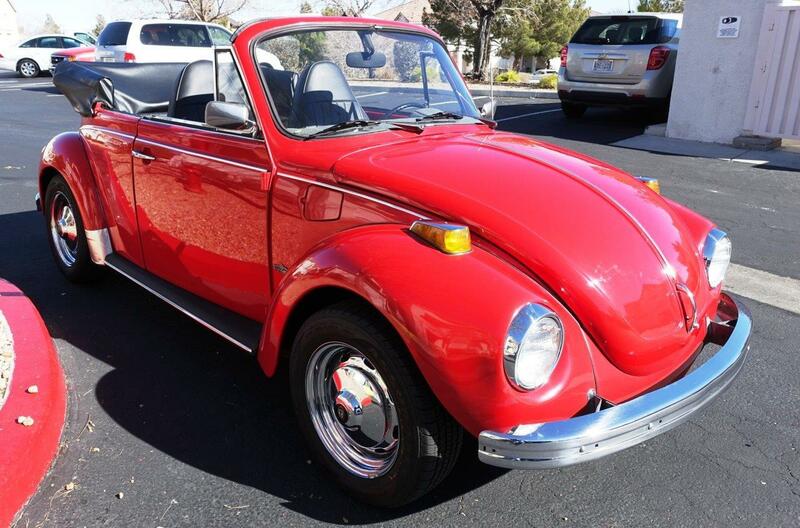 The driver quality paint on this Super Beetle shows nicely driving by, or in a high school or college dorm parking lot. 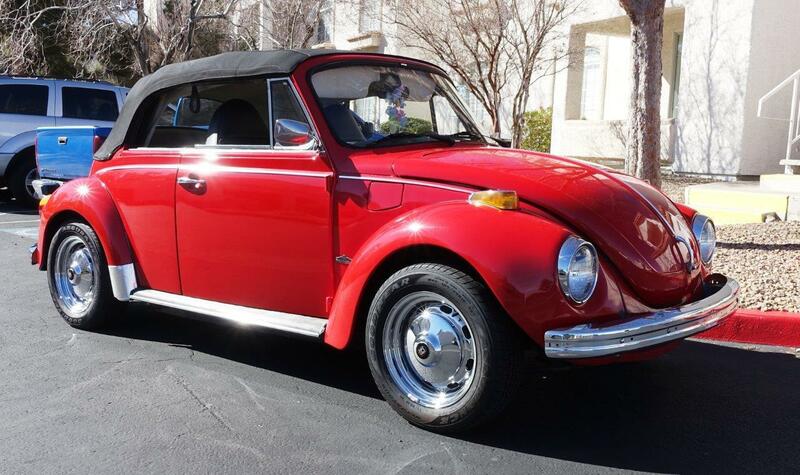 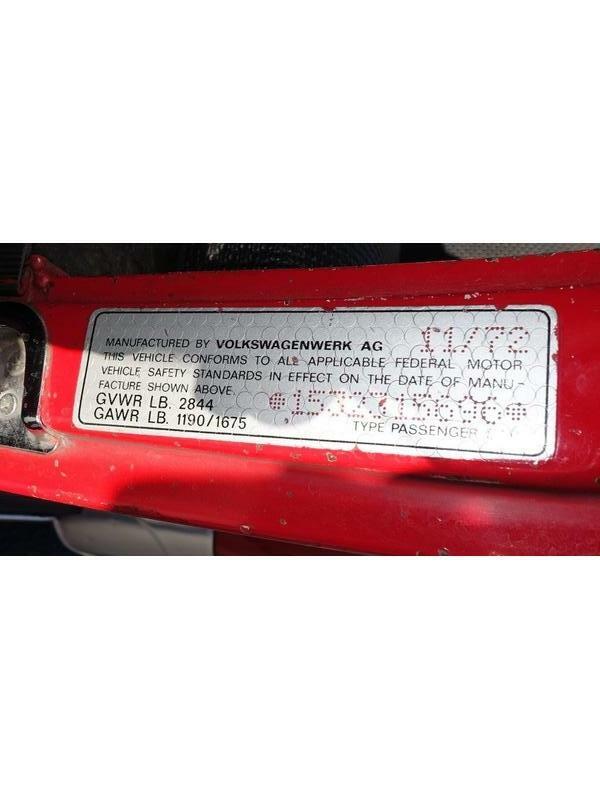 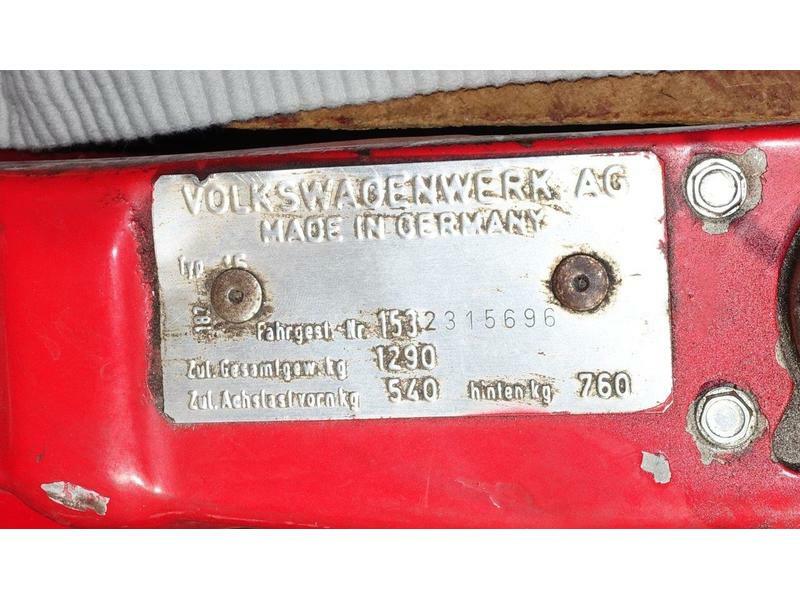 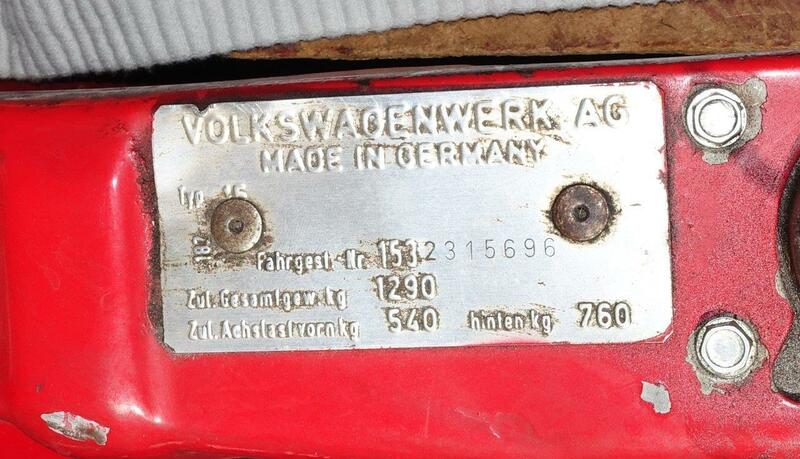 Overall, this is a solid, dependable, very collectible VW. 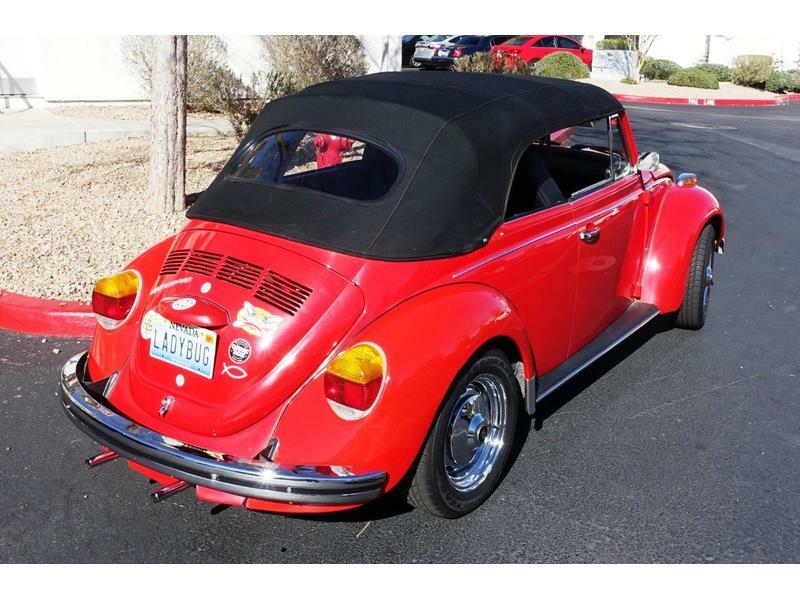 Take care of it and you will enjoy a nice return on your investment in the years to come, and have a very enjoyable toy to play with! 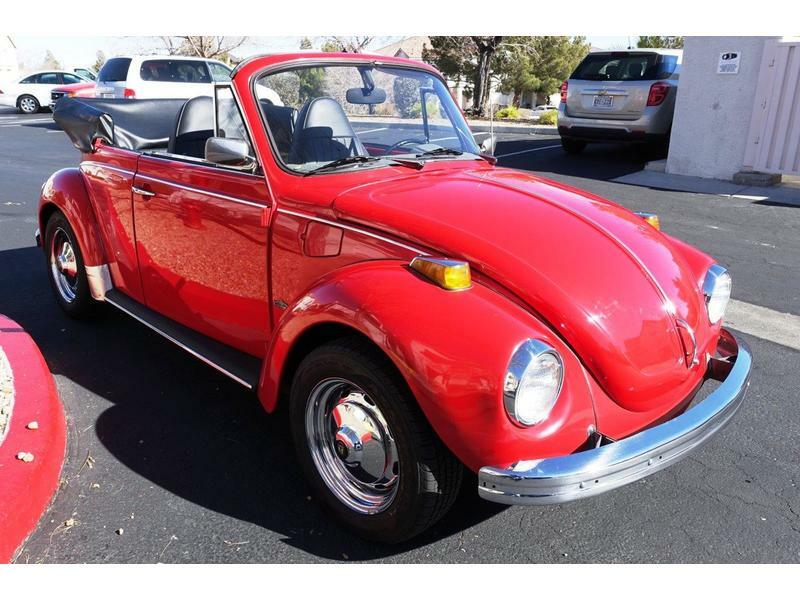 It is located in Las Vegas and available for a pre-purchase inspection by appointment.